If you have lost your Nissan remote or key fob, you may be at a loss for what to do. Not only are you worried that you cannot get into your car, but you may be concerned that someone else has access to your vehicle. The good news is that you have stumbled on the solution by visiting our website! At Door N Key Locksmith, we pride ourselves on being able to get to our customers in less than a half hour after contacting us regarding missing keys. Whether you need a keyless entry remote or a smart key fob to get into your Nissan and start driving, we can get that key made. Do not spend hours searching the same spots for your keys. If you could not see them the first time around, you will not find them by looking again! Just give us a call, and we will send a technician to your location. 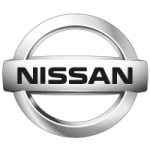 Our vans allow for a streamlined and on-site service, because we carry all the equipment and accessories needed to make keyless entry remotes and smart key fobs for your Nissan. Within 20 minutes, we will be at your location. From there, it’ll be just a short wait for us to get your key made. And then you will be back in your car, driving away!